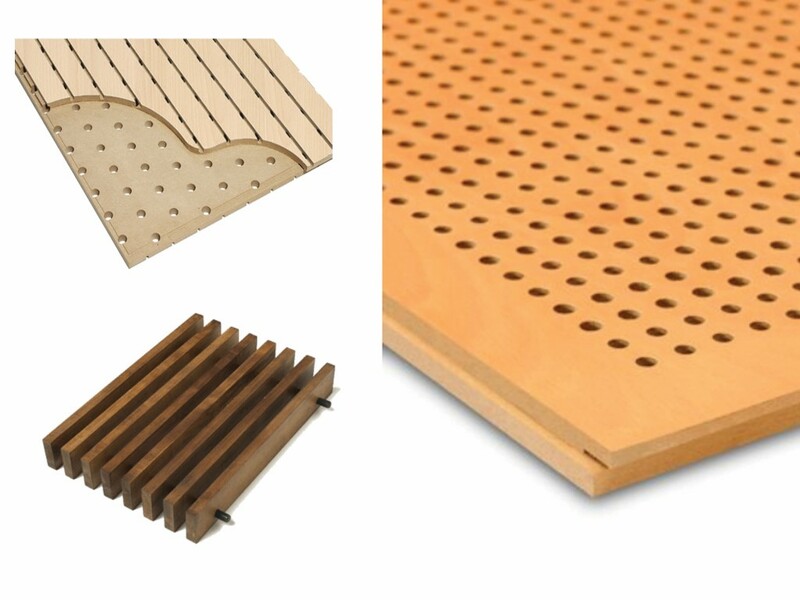 When an acoustic conditioning or decoration project for a room needs the installation of wall or ceiling tiles, one should use products that technically provide good acoustic absorption coefficients, durability in use, ease of assembly, fire resistance and elegant aesthetics with different style options. 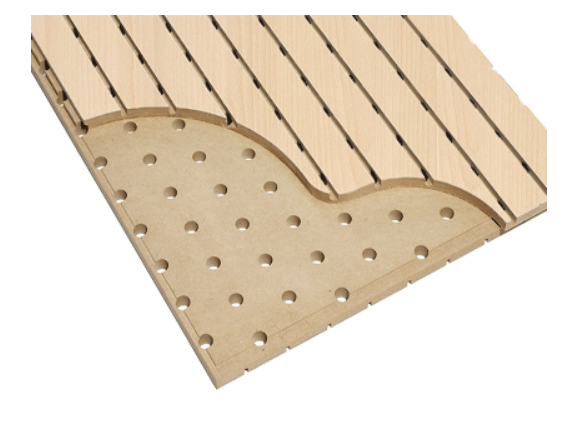 Spigogroup has three different brands of ceiling tiles and walls made of wood that meet all these characteristics and offer the models of ceiling tiles most demanded by acoustics, interior design and decoration professionals. 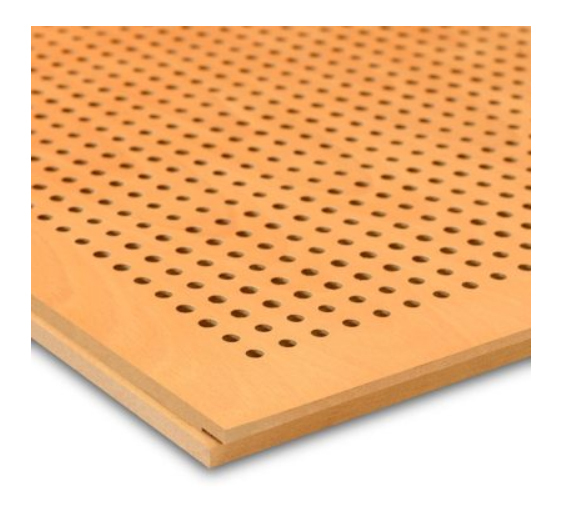 Spigoacustic is the Spigogroup brand of acoustic ceiling tiles (acoustic panels) in a linear style with great sound-absorbent capacity. 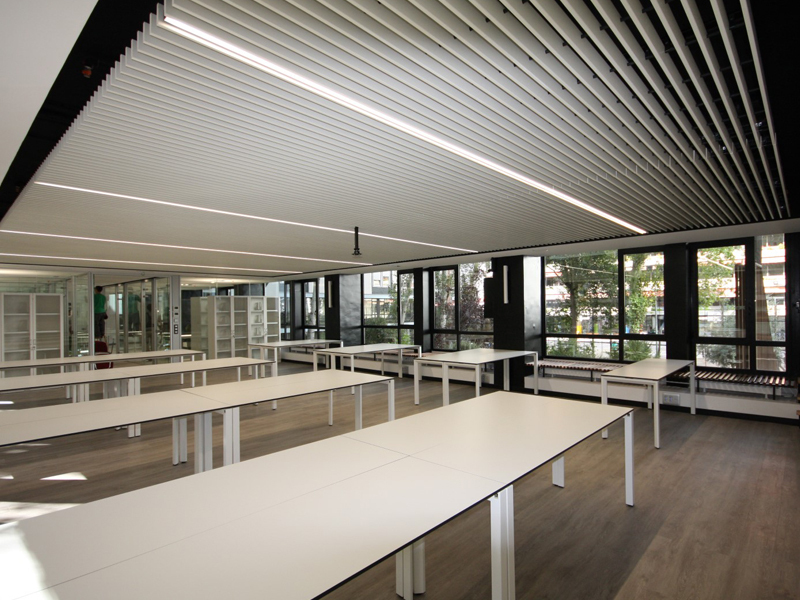 Spigoacustic ceiling tiles offer a visible side consisting of parallel channels while, on their hidden side, they have numerous circular perforations together with a sound-absorbent, thermo-glued fabric. Spigoacustic has about 30 models that differ in the width of the channel, the distance between holes and the distance between channels. 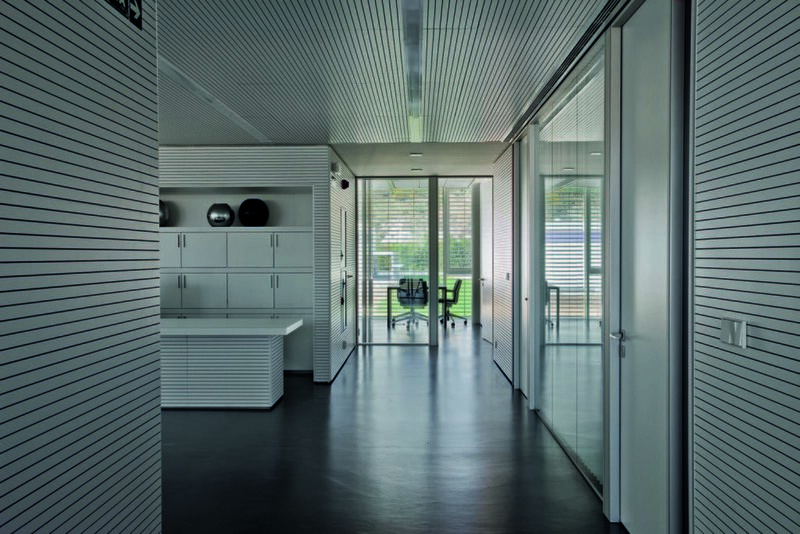 The Spigotec brand has a catalogue with 40 standard models of ceiling tiles designed for installing wood false ceilings, removable ceilings, accessible ceilings and acoustic ceilings. 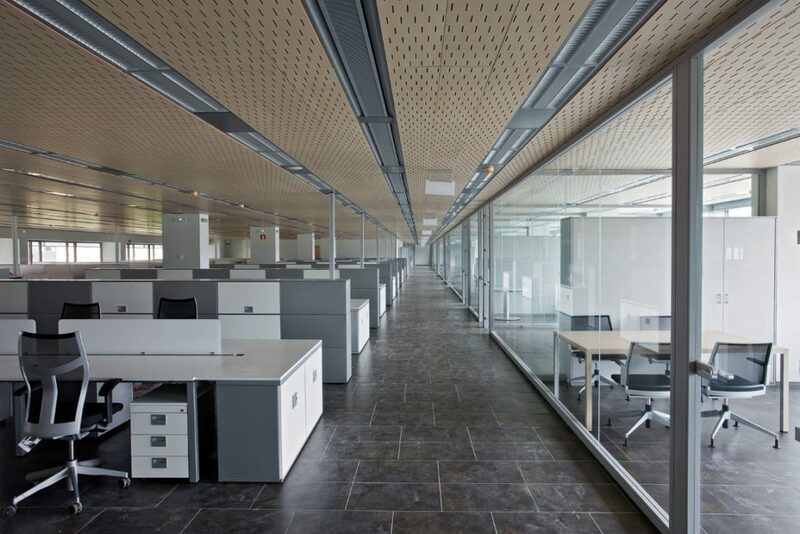 All the models are resistant to fire and humidity, they are very easy to install and offer different degrees of acoustic absorption according to the needs of each project. 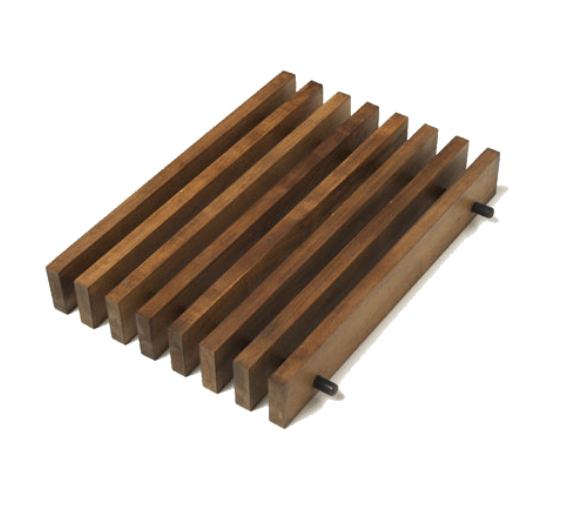 Spigoline is the line of wall and ceiling tiles made of solid wood slats. Its almost 20 different models stand out, no doubt, for their notable aesthetic value. In addition, the Spigoline catalogue includes models with a sound-absorbent acoustic system that helps to improve the acoustics of the room where they are installed.